Relative: something dependent upon external conditions for its specific nature or size (opposite of absolute). 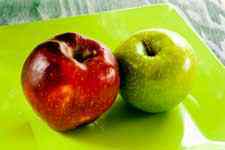 Comparative: using comparison as a method of study. Everybody compares two cans of soup at the supermarket, cars, stages of life, classes, flooring products, even friends. Look at one and assess; look at the other and assess; then, compare the two assessments. Translated to a concrete slab, installers look at the result of one moisture test and compare it to the previous one. The trouble begins when the same contractor uses that assessment to conclude that a concrete’s moisture levels are dry enough for floor covering. Why? Simple (but deadly): comparison excludes all assessment of how concrete moisture is currently changing due to the conditions in the environment. 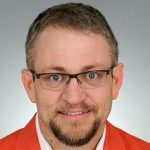 A comparative analysis relies on one overall reading to conclude that the above interactive factors are stable enough to install a floor covering. All healthy concrete contains moisture. Even in prime condition, moisture exists. Installation challenges often result when job timelines do not permit adequate time for concrete to dry. Once the concrete is poured, it forms and strengthens. It also pushes water vapors from the bottom of the slab to the surface, where they evaporate. The best way to assess concrete’s drying progression is to measure its RH levels. That is, we need to measure the state of relative humidity (RH%) at various locations, at specific depths of a concrete slab. Put simply, a dry area is able to accept migrating moisture on its push to the surface. Wet areas need more time to dry. Relative assessment is based on the interconnected states of RH throughout a concrete slab. If it looks dry on the surface, how do we know that bottom moisture has concluded its migration to the surface? RH testing provides an accurate answer to that procedural question. The RH test method is the best way to predict future flooring failures. RH is the single most effective method that contractors can use to avoid concrete flooring moisture problems. It is based on multiple readings which are related. Together, they form a composite picture of the slab’s state of readiness. 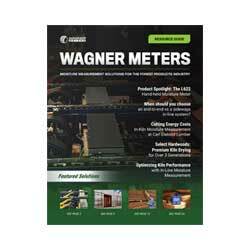 Wagner Meters has developed simple, convenient and cost-effective digital RH assessment. Installers use RH testing to safely make two crucial predictions. First, they can tell if the concrete itself is ready for floor covering. However, RH results also empower contractors to predict the bond strength of flooring adhesive products. In fact, successful builders must consider RH when they choose a compatible floor covering and adhesive products prior to installation. 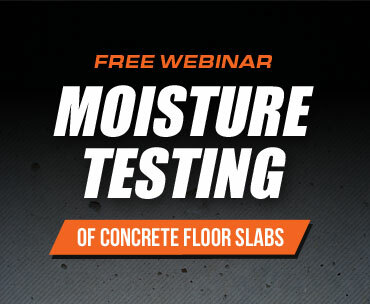 When it comes to concrete, your ability to test correctly determines your installation success. Why compare when you can relate? Video: “Relative Humidity (RH) Testing of Concrete Floors” by Howard Kanare. Smith, Ron “Performing Correct and Accurate RH Testing in Concrete Slabs”; Wagner Meters; Web. Kanare, Howard “Measuring Relative Humidity at 40%” (Graphic); Concrete Floors and Moisture. 2nd Edition. Skokie, Ill.: Portland Cement Association, 2008. Spangler, Jason “The Real Dangers of Hydrostatic Pressure”; Wagner Meters; Web.